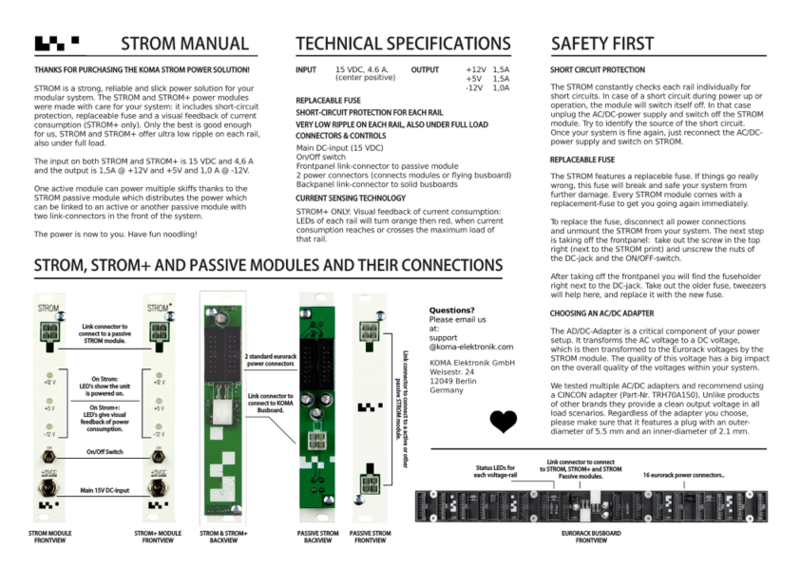 The KOMA STROM+ Bundle is a great and cost effective power solution for your Eurorack case. The Bundle pack includes a high-quality CINCON adapter, STROM+ power module and a flying bus board. STROM + offers a current sensing technology so you have your consumption under control at all times! The status LED’s on the module will turn orange and red when you approach the maximum amount of current on your rails. Very Low Ripple on Each Rail, Also Under Full Load!